The digital streaming revolution has brought unprecedented convenience of choice to your music listening; but alongside it, the challenge of finding the perfect solution to rip, store and manage your media. Over the past decade, we have seen and tested a multitude of methods of ripping and storing CD libraries. Some present musical information beautifully but have major limitations, some function well but have clunky interfaces and some just don’t work. Innuos have turned this challenge into an art form; complete music library management. For simplicity, practicality, flexibility and performance, Innuos servers are streets ahead. Bit-Perfect Ripping – using AccurateStream technology, extract every last bit of your CDs into WAV or FLAC files. Automatic CD Ripping – Insert your CD and InnuOS will automatically get full album data and cover from multiple online databases, rip your disc and eject when done. Assisted CD Ripping – Assisted CD Ripping allows you to see and edit all the album data and cover obtained from the online databases before you rip the CD. Great for Classical Music! Quiet Mode – Want to listen and copy at the same time? Just engage Quiet Mode for slower ripping: much quieter and less vibration. Offline Ripping – CDs can be ripped without internet connection. When connected, album data and cover for all offline ripped CDs will be obtained with a simple click. 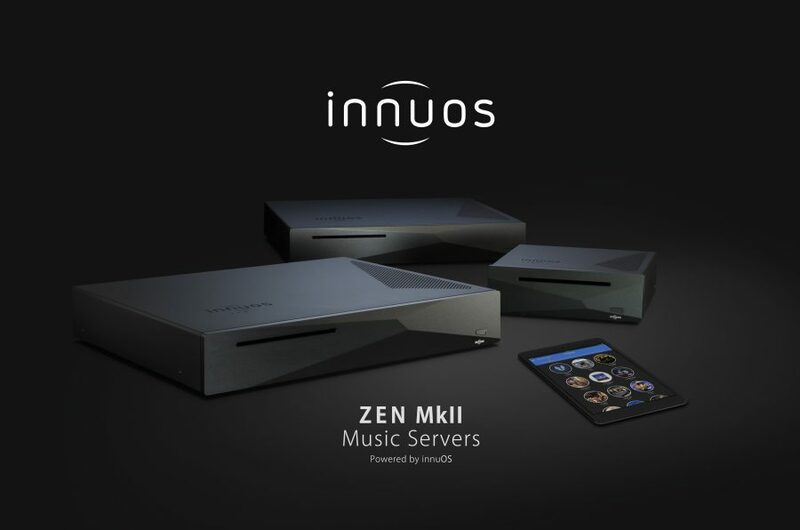 Innuos will serve any music streamer on the market running its own proprietary operating system – InnuOS. Internal storage can be specified from 1TB (2000 CDs) up. Innuos even integrates with Roon. Book a dem to experience the art of Zen.